Experience stress, anxiety, depression or feel generally unhappy with your life? Lack confidence and a feeling of self-worth? Feel challenged and frustrated in your relationships? Suffer from fatigue, discomfort or other health-related problem? but seem powerless to change them? Yearn for more peace and greater freedom in your life? Want to connect to your life purpose? Long for a deeper spiritual connection? If you answered YES to any of these questions then Therapeutic Energy Healing may be able to support you in your healing journey towards well-being, happiness, health and wholeness. 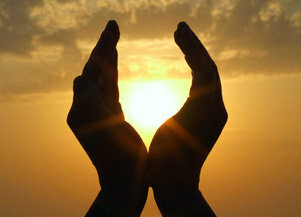 Therapeutic Energy Healing uses a combination of hands-on energy healing,channelling divine light and consciousness through the system of Vortex Healing®, and guided inner inquiry. VortexHealing® is a holistic system of energetic healing that channels divine light and consciousness to heal the body, transform emotional patterns, and awaken us to True Self. Therapeutic Energy Healing helps to heal and release belief & behaviour patterns and old emotional wounds that act as blocks which prevent us from living a life filled with happiness, health, love, joy, peace, freedom, fulfillment and a true spiritual connection. Such qualities are our birthright, our heart's essence, and it is through opening to and connecting with them that we can begin to manifest the life that we were born to live. As a therapeutic energy healer and counsellor I work with people who present with a wide variety of emotional, psychological, physical, relationship and spiritual, issues and concerns. I currently offer energy healing therapy sessions from my clinic in Ingatestone, Essex (situated between Brentwood and Chelmsford). In addition, I also offer distant healings for anyone who is unable to attend a clinic in person. Vortex Healing, carries the divine power of transformation, enabling it to magically transform emotional conditioning, physicality, ego-identity, and the deepest karmic issues we hold as human beings. And because the power of what is being channelled is always sourced from divine energy and consciousness, the result is not just the transformation of conditioning but the awakening of consciousness to its true nature. VortexHealing derives its name from a particular Divine energy-vortex that is brought into manifestation in the heart and becomes a vehicle for Divine presence to manifest healing, transformation and spiritual growth. The deep connection to this Divine presence is what makes VortexHealing so unique, for this Divine presence deeply ‘bridges’ both Divine Vortex energies and its own Divine consciousness into the recipient, and guides their movement to optimize healing. This is critical, because conditioning of our issues is based on the consciousness of separateness, of ego. 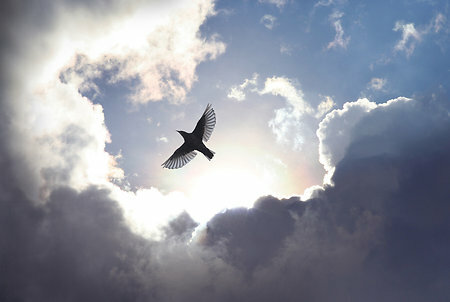 So it cannot simply be released, it must be transformed back into freedom, back into the wholeness from which it came. But only that which is free of ego—only deeply bridged Divine energy and Divine consciousness—can do that. And these are the healing tools of VortexHealing. It should be pointed out that as powerful as VortexHealing is, because it is run by Divine consciousness it can never be used for anything other than positive purposes. What is the Difference between working with Divine Energy vs. Divine Consciousness? Most healing arts that work with the Divine use Divine energy (also called Divine light) but do not access Divine consciousness. Although Divine energy is pure healing energy, it is Divine consciousness that transforms the roots of the consciousness of separateness. When Divine consciousness is truly accessed, it also acts as an independent intelligence; it knows exactly where the roots of your issues are held and goes directly there to transform them. VortexHealing works with both Divine energy and Divine consciousness, accessing both in a variety of ways. But energy has a key role to play in healing as well. Some healing arts use "chi" or ‘pranic energy’ or ‘life energy’. This is not Divine energy but the energy of manifested life. This would also be true of some energies that are referred to as ‘universal energy’. Although these energies can be used for healing, they cannot work as deeply as Divine energy. There are other healing arts that do use Divine light or energy, and usually they have particular one that is used. But different kinds of Divine energy can create different effects. VortexHealing uses 49 forms of Divine Vortex energy. And each one is designed by the Divine to accomplish a different function, with each one going exactly to where it needs to go to optimally help the person who is receiving healing. How can VortexHealing® facilitate spiritual awakening? Although spiritual awakening sometimes seems to happen spontaneously, it never happens unless there has been sufficient ‘ripening’ first. Because the Divine intention for the VortexHealing lineage is to facilitate spiritual awakening, the Divine source of the lineage generates this ripening continuously whenever VortexHealing is being channelled. For more information about VortexHealing® Divine Energy Healing, trainings and the Merlin lineage please visit vortexhealing.org. You can also view Anthony Gorman (a Vortex teacher) talking about VortexHealing® Divine Energy via this YouTube link. ® "VortexHealing" is a registered service mark of Ric Weinman. All rights reserved.